← Breaking News: I’m Back on the Radio, with My Own Show! 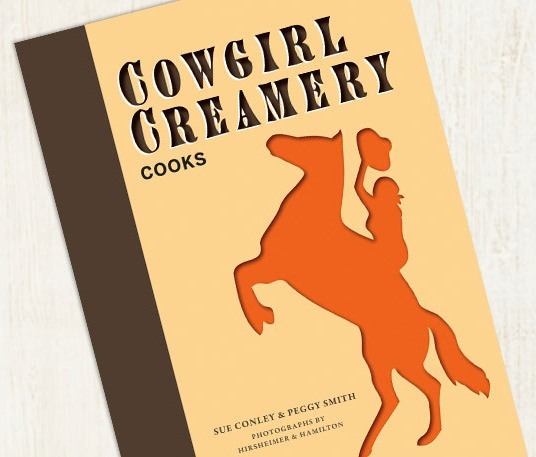 Sue Conley and Peggy Smith, founders of Cowgirl Creamery in Point Reyes, will be at the Stockton Market this Friday (11/8) and Saturday (11/9) to celebrate the publication of their first cookbook, Cowgirl Creamery Cooks. On Friday from 6:30 to 8 pm, you can chat with them while tasting their award-winning cheeses (hopefully including my personal fave, Mt. Tam) with wine. $35 gets you into the tasting plus a signed copy of their book. Be sure to catch tomorrow night’s (11/4) episode of Bizarre Foods America. 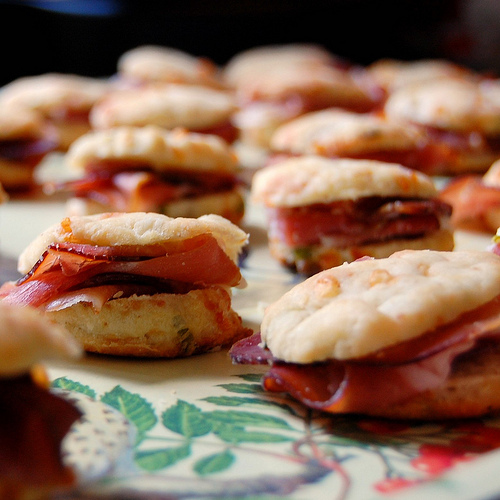 For this season’s premiere, host Andrew Zimmern focuses on the tasty underbelly of Garden State grub. He visits 7 locations, including Jersey City’s Little Manila (where he eats balut, bless his soul), the cultish Sun Noodle ramen factory in Teterboro, and Rutgers’ Acquaculture Center in Cape May, where he creates an entirely new type of oyster. The Jersey episode airs at 9 pm on the Travel Channel, but you can get the full scoop on it today. How? Read on! This is a not-so-subtle reminder that my new radio show premieres today (11/3) at 2 pm on AM 920 The Voice. The hour includes a complete rundown of the Bizarre Foods USA episode, interviews with Rosie Saferstein of “Table Hopping with Rosie” and Chris Walsh of River Horse Brewing, a recap of my NJ Monthly restaurant review of Brian’s in Lambertville, and – as we say in radio land – much, much more! 920 The Voice is broadcast throughout central NJ and Bucks County, but you can also listen live at www.920TheVoice.com. This entry was posted in Events, Favorite Finds, Interviews, Restaurants and tagged 920 The Voice, Andrew Zimmern, balut, Bizarre Foods America, Brian's restaurant, Chris Walsh, Cowgirl Creamery, Cowgirl Creamery Cooks, Dining Today radio, Lambertville restaurant, Peggy Smith, Point Reyes, River Horse Brewing, Rosie Saferstein, Rutgers Acquaculture, Stockton Market, Sue Conley, Sun Noodle, Table Hopping with Rosie, Travel Channel. Bookmark the permalink.